Congratulations to "Colleen C.", the winner in Misty's giveaway. Thank you to all who participated! Whenever I begin a new story, I get wanderlust. After writing thirty plus novels, I don’t want the same old heroine, be she CIA, FBI, NSA, or even one of my witches/demons. I want new, fresh, different. In my new romantic suspense release, Fatal Honor, my heroine Charlotte is an MI6 operative whose been accused of treason. When I began the story, she was your typical British spy, undercover in a foreign country, running for her life and in need of the hero’s help. Oh, and she has a thing for the Harry Potter series. As I dug deeper into my research, I stumbled upon an idea that Charlotte might not only be undercover in Romania taking down a crime lord and proving her innocence, but that she has ties to the Romani people living in caves in the Carpathian Mountains. Doing more research, I fell in love with the idea that she had some Gypsy in her lineage. Fiction often focuses on the romanticized life of Gypsies—fortune telling, curses, love spells, etc., while in reality, the Romani people have had a difficult and dangerous history. While I liked having Charlotte know a few *magic* spells and having her feel deeply connected to her distant relatives in Romania, I couldn’t ignore the facts. Gypsies are often treated poorly and looked down upon, whether they live in Romania, Britain, or even here in the States. They face racism and poverty daily. Learning about the language, music, and culture of the Gypsies scattered throughout the world was fascinating and one thing led to another. Magic kept popping up in my research, so I gave Charlotte a strong attachment to Hermione in the Harry Potter stories, because she could see herself in the same situations. Harry and Hermione were looked down on, singled out, and forced to handle evil whether they wanted to or not. They were special, unique, chosen. Everyone wants to believe they are chosen for some great purpose. Charlotte does. There was a lot of information out there. I did some ancestry digging to get the names correct and found a forum where bits and pieces of Gypsy life and history were being discussed. The language I used in my story came from a young Gypsy woman who was generous in sharing stories and lingo from her culture. For the external plot of Fatal Honor, a certain Harry Potter book is used to pass coded messages along. One message, not coded, is from the hero. It’s a love note that Charlotte never gets to read thanks to the bad guy, but in the end, a second message from the hero (in code this time) makes all of her passion and determination to do the right thing worth it. Charlotte was my Hermione. In some circles, Charlotte’s parentage (Gypsy mother, non-Gypsy father) made her an outcast. A Muggle. All her life, she’s worked extra hard at everything and never given up or given in—key traits for a spy. 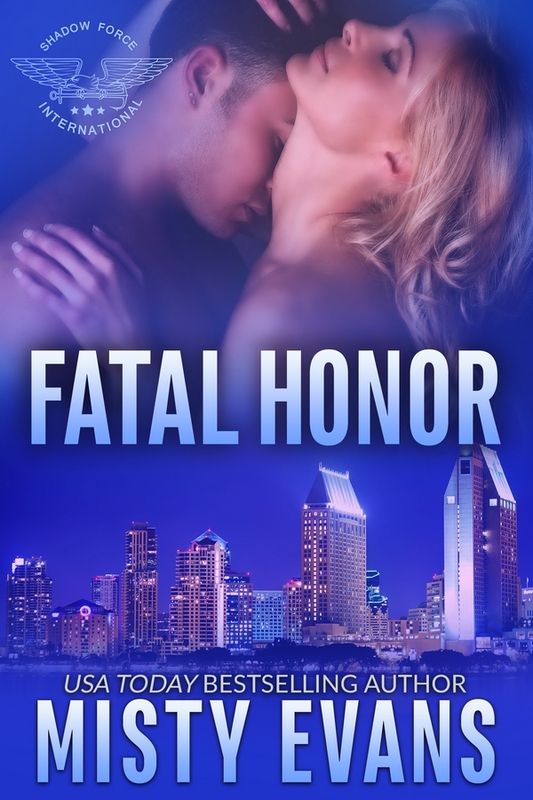 It takes honor for her to prove her innocence and complete her mission. It takes courage for her to end up with the hero. In flashbacks about her life, Charlotte reveals why her horrible childhood was actually a gift; why she believes in magic and love. In the end, she convinces my hero that magic is real because each of us creates our own. I truly believe that, and attempt to convey that in all of my stories. This time, I was able to build a heroine layer by layer with help from two seemingly different worlds that actually had a lot in common. So blame my latest foray into charm, illusion, and romantic suspense on my own wandering Gypsy soul, or blame it on Harry Potter. Either way, it makes for a captivating heroine who has one hell of a story to tell you. Gypsies believe saying goodbye is bad luck, so instead I’ll wish you kushti bok—good luck. Readers, do you have a favorite Harry Potter or Gypsy story? What is it about magic that inspires us? Comment to be entered to win a copy of Fatal Truth, the first book in the Shadow Force International series. Misty Evans was bitten by the writing bug when she won a contest in 4th grade with an essay about her dad. Today, she's a USA TODAY bestselling author of over thirty award-winning romantic suspense, paranormal romance and urban fantasy stories. She likes her coffee black, her conspiracy stories juicy, and her wicked characters dressed in couture. To get your FREE Super Agent story and learn more about Misty and her books, visit www.readMistyEvans.com, like her author fan page https://www.facebook.com/AuthorMistyEvans, follow her at www.twitter.com/readmistyevans, and share pictures on Instagram! Giveaway ends 11:59pm EST April 26th. Please supply your email in the post. You may use spaces or full text for security. (ex. jsmith at gmail dot com) If you do not wish to supply your email, or have trouble posting, please email maureen@justromanticsuspense.com with a subject title of JRS GIVEAWAY to be entered in the current giveaway. Congratulations on your new release, Misty! Looks fabulous and VERY interesting. Thank you, Jacki! The research was fun and I hope it translates to the story! Love magic and the mystical! Thanks for sharing about your book! I can still recall a story I read about gypsies when I was a child. The whole life-style just appealed tremendously. I re-read this so many times. I loved this article and the Gypsy knowledge I learned from Charlotte in Fatal Honor. That is what one of the best things about reading - everything you learn. Whether it be in a fiction book or nonfiction.